Mind Over Matter is set for a June 15th, 2018 release date via Illect Recordings. 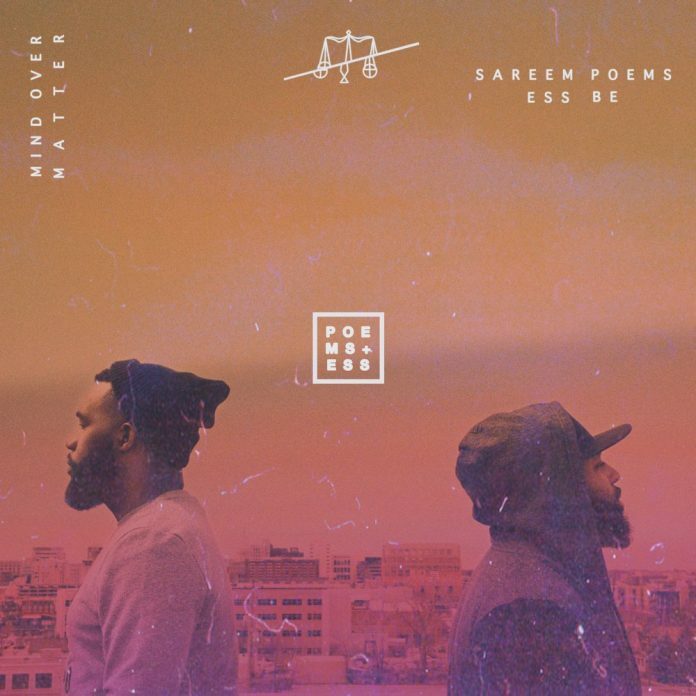 After three years of writing, developing, and preparing new music, Sareem Poems and Ess Be are back with Mind Over Matter. Released via Illect Recordings, Mind is the second full length project from the Lansing, Michigan-based MC and producer duo. Their first album on Illect, 2015’s Beautiful Noise, was a highly motivational record based around positivity and perseverance. Mind Over Matter is definitely in the same vein as Noise, but it’s clear that as they worked on the new project, Poems and Ess Be weren’t afraid to dive deeper into who they’ve become as artists.